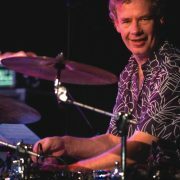 After four decades of making music with such groups as prog-rock pioneers King Crimson and Yes as well as his own powerful ’70s fusion group, Bruford, and his electro-acoustic jazz ensemble, Earthworks, Bill Bruford has decided to hang up his sticks. In announcing his retirement, the iconic British drummer-bandleader, who turns 60 on May 17, leaves behind a rich recorded legacy. Bruford’s earlier electrified material, including selected tracks from 1978’s Feels Good to Me and 1979’s One of a Kind (both featuring bassist Jeff Berlin, keyboardist Dave Stewart and guitar god Allan Holdsworth) is contained on The Winterfold Collection. And while some of this material feels dated (particularly the oddly ethereal Annette Peacock vocal tracks from Feels Good to Me and “Hell’s Bells” from One of a Kind), the prospect of hearing Holdsworth unleash in unfettered fashion more than makes up for it. Two tracks from 1980’s Gradually Going Tornado (with Berlin on vocals!) were lucky to make the cut. Four samples of Bruford’s daring duets with pianist Patrick Moraz (from 1983’s Music for Piano and Drums and 1985’s Flags) are also included in this earlier compilation. The Summerfold Collection, a double-CD set, includes choice cuts from Earthworks’ 1986 self-titled debut (the engaging “Up North” and the Crimson-inspired “My Heart Declares a Holiday”) along with material from the group’s 1988 followup, Dig?. Talented player-composers Iain Bellamy on saxophones and Django Bates on E-flat tenor horn and keyboards are highlighted on these recordings as well as on 1991’s All Heaven Broke Loose and 1992’s Stamping Ground. Two tracks from Bruford’s excellent trio outing with guitarist Ralph Towner and bassist Eddie Gomez, 1997’s If Summer Had Its Ghosts, are included on this first CD. The second disc features more recent material, including tracks from Bruford’s 2007 duet recording with pianist Michael Borstlap, In Two Minds, and one with his dynamic large ensemble outing from 2006, the Earthworks Underground Orchestra, featuring trombonist Robin Eubanks, alto saxophonist Steve Wilson and tenor saxophonist Tim Garland. An added treat is a previously unissued acoustic rendition of Bruford’s mid-’70s fusion anthem “Beelzebub,” recorded in 2002 with Garland, pianist Steve Hamilton and bassist Mark Hodgson.